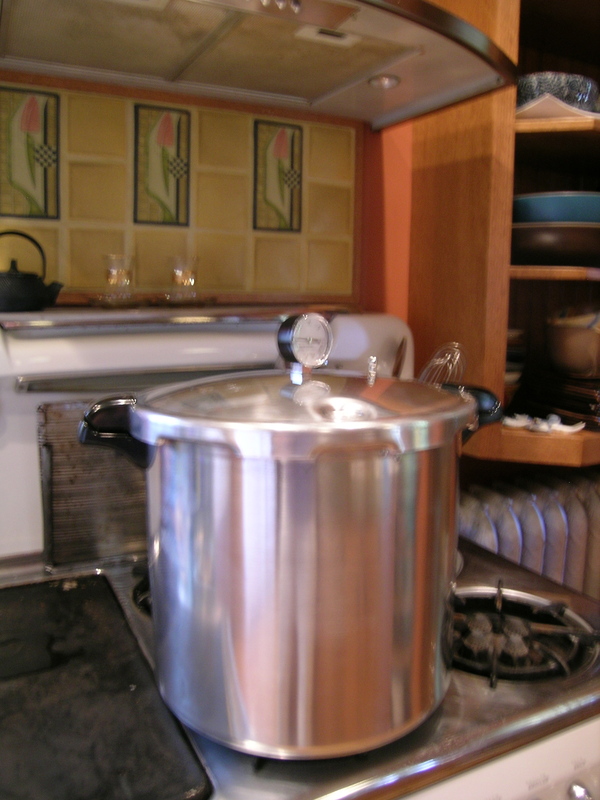 I just ordered and received a new pressure cooker, so that I can expand my canning this summer. 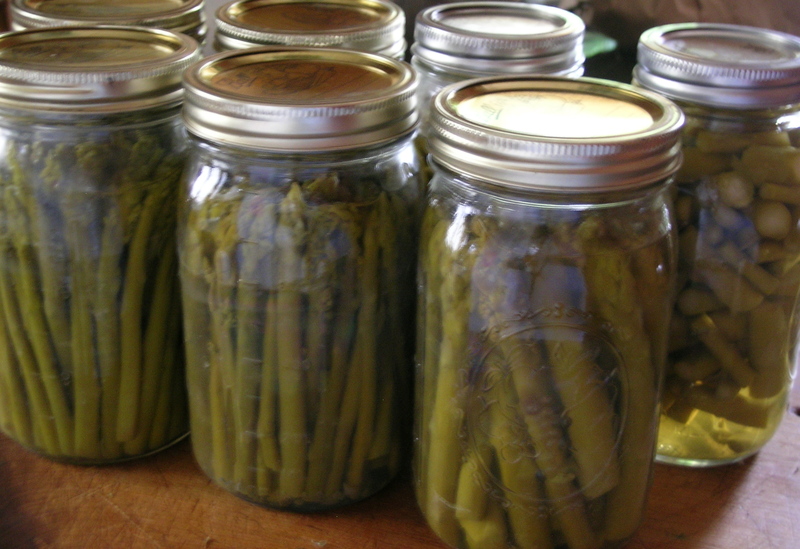 And, my first pressure canning was asparagus on Friday. They all sealed (7 quarts, the maximum that can fit in the canner), a couple seem a tad short on the water, but we will see if the preservation lasts to next winter. Asparagus is my favorite vegetable, and the season is just too short. I have 5 quarts of full pieces, and 2 quarts of small pieces, which I will use to make soup. The only thing about the pressure canning is that they are cooked quite a bit. I will let you know when I open my first jar next winter. 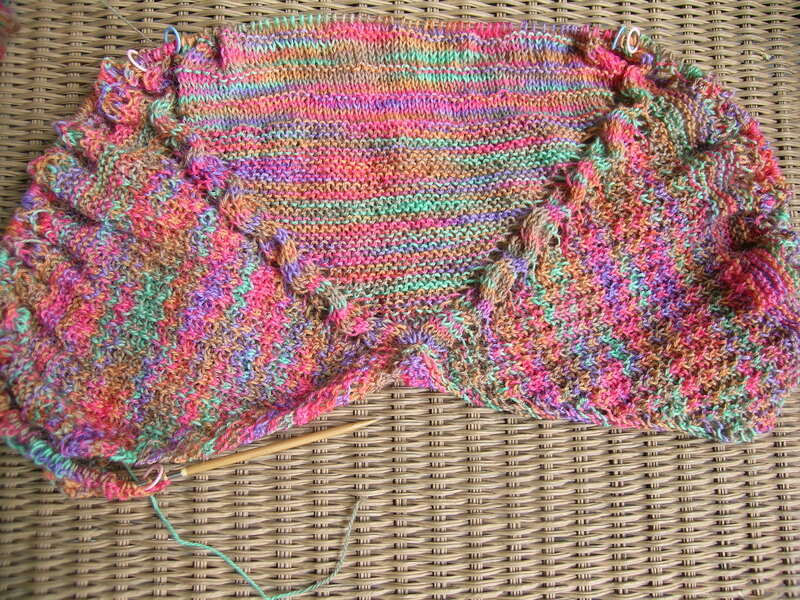 Continuing work on my next shawl. I think that I am going to be disappointed in the size, but I only had one skein of this yarn. If it is too small it will make a great scarf with a coat, lots of color to brighten up a dreary day. I started this on a size 6 needle (pattern recommended a 5 or 6 and I wanted it to be bigger), and went up to a size 7 where the lace started. I sort of wish that I had made the entire shawl with the size 7 needles.